I am IN LOVE with this dog! 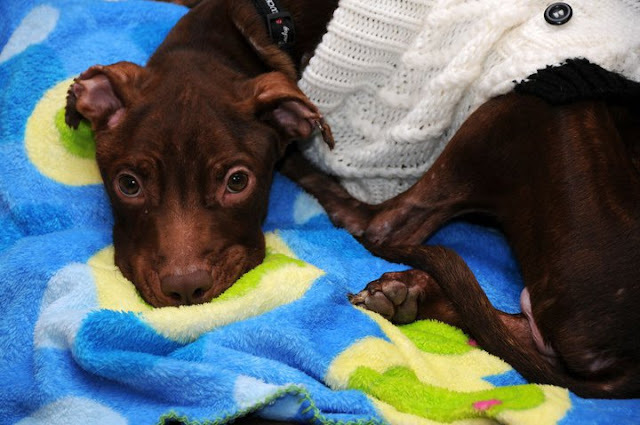 Patrick is a survivor -- he lived through being starved by his "owner" Kisha Curtis and then thrown down 19 floors in her Newark, NJ, apartment building in the garbage chute -- saved by the janitor who saw the trash bag move minutes before the trash compaction. Most amazing? Patrick is STILL extremely gentle and loving despite the months of abuse, and STILL loves humans! Humans could take away a lesson here! The US and world has responded with support, so much so there are thousands wanting to adopt him when he is healed. Also, the vet clinic treating him has stopped taking donations because so much was received; they ask now that donators contribute to local shelters or rescues in Patrick's name. I might add, again, the power of Facebook makes this possible; word spreads fast and furious. 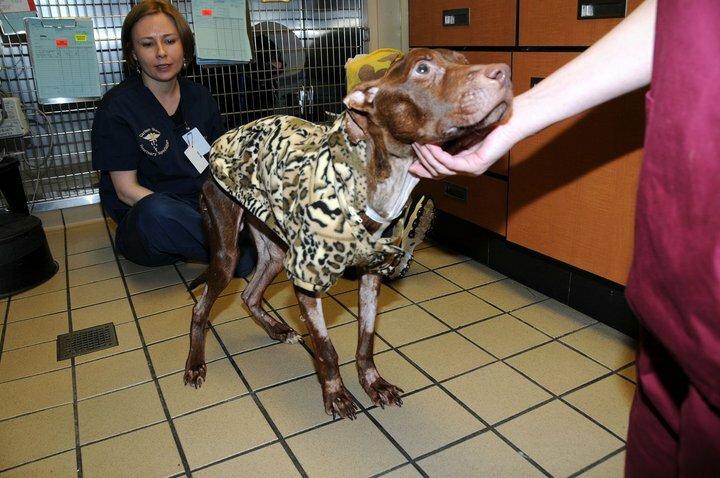 Dog lovers respond worldwide with donations, emails and calls to relevant officials. The media picks it up. Legal punishments handed down in court become more severe for the abusers (charges get upgraded, jail time increases, bond increases, fine increases). All a very good thing! 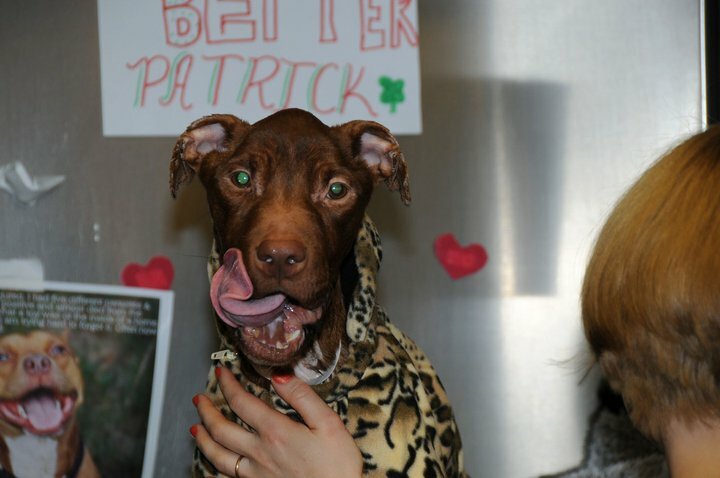 Photos from two weeks ago when Patrick was found and now>>UNREAL! I am a Soldier (and avid dog lover) currently deployed to Iraq. I, like many people, was deeply moved (to the point of sobbing uncontrollably) when I first saw pictures and read about young Patricks plight. As I type this email, it is hard for me not to begin to cry at the thought over what has happened to this poor defenseless soul, as well as what is happening to others. I am currently on my third tour to Iraq, so to say the least- I have seen some pretty disgusting acts of human depravity. The pictures that I have seen in regard to Patrick have made me shudder with a complete emptiness inside that actually made me question us as humans. I have been following this story since it was first put out on FOXNEWS. 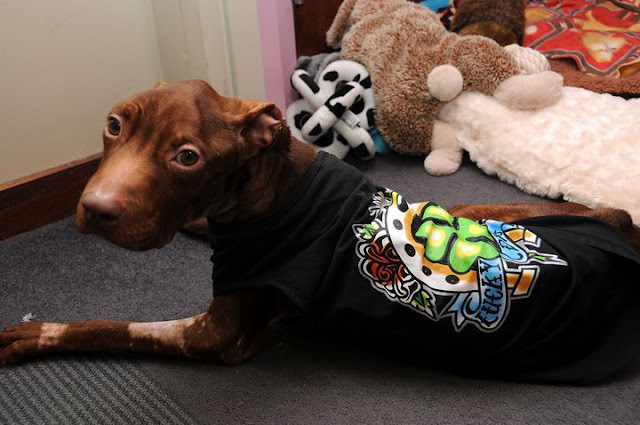 Thankfully they actually picked up the story as other major news agencies did not- and have created such an outcry of support for the creation of tougher animal cruelty laws. As I was glued to finding out how Patrick was coming along, I found more and more like me who were as moved as I was about this story. In short, I am extremely interested in volunteering for "Patricks Law." Currently I have already sent off multiple letters to my Governor: Chris Gregoire (D-WA) and the Governor of New Jersey and City Council of Newark. I have also sent an email to my Congressman. I have also put out the word to all of my friends/family to donate money (in these tough economic times) to their local humane society. I have enclosed the letter that I drafted for my Gov/Congressman. Thank you again for going forward with this. You are a true hero as are the people who saved this dogs life. I cannot tell you enough how much a certain news story happening in New Jersey has won over hearts of people literally around the world. I came across the (nationwide) story of Patrick “the miracle dog” http://www.gsvs.org/news/patrick.asp ; http://www.ahscares.org/showarchive.asp?id=772 while checking the news over my morning coffee while at work three days ago. 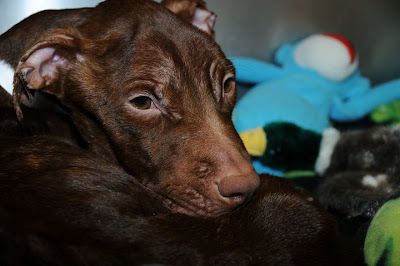 Needless to say, after reading about this sickening and heartwrenching story I could not concentrate all day and found myself leaving my work area constantly to find a private area where I would uncontrollably weep for this very strong and very lucky young dog who I felt an unusual conection to. I find myself constantly thinking about Patrick and checking the updates almost hourly to see how he is coming along. Where this letter may surprise you, is that I am currently deployed to Iraq for the US Army. It does not matter who I am really or what I do, but what you need to realize is that this young pups story has won over the heart of a Soldier- A Soldier who has seen the worst of the worst of humanity, and can still not find anything that comes close in my own memory as that which I saw pictures of Patricks inhumane treatment. Believe you/me, in my time I have seen some pretty disgusting and inhuman deeds done to our own species. The pictures I witnessed on various news sources (in regard to Patrick) were similar to famous pictures reminding me of a dark period of our history of inhumanity- Nazi Germany. Luckily this story has a happy ending that truly shows the better side of humanity. I know that you as a state leader are not responsible for the actions of the criminal element of our state (and without a doubt this act is criminal). 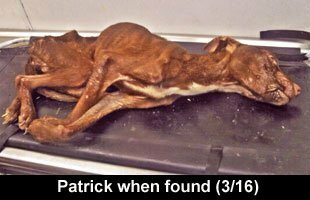 However, you are the people who are responsible for seeing that sick individuals like those who did this to poor Patrick be brought to justice. Furthermore, you are the ones who MUST see that the animal cruelty laws in our great state goes farther than what it currently is. In short-the current Washington State animal cruelty laws are not strong enough to keep heinous acts like these from happening in our own wonderful state. These laws are unbalanced, inequitable and completely unfair to animals that go through pain such as what Patrick endured. We Americans consider ourselves a “civilized people” yet we cannot even give fair justice to those we were put on this Earth to protect. We as humans are absolutely responsible in my mind for those other living creatures who bring us joy and love to our life. My wife and I (both from Washington State) have a labarador retriever who we make sure is responsibly taken care of and loved. We as humans have a further responsibility to care for animals such as Patrick, not unlike I have a responsiblity as a Soldier to ensure that the Citizens of the United States are protected every day. I implore you as a leader contacting another fellow leader, that you ensure that these changes begin to take shape in our great state before depravity like this happens. I thank you for your time. For further information regarding this story and animal cruelty, look into “Patricks Law” a growing grassroots effort to try and safeguard our pets.